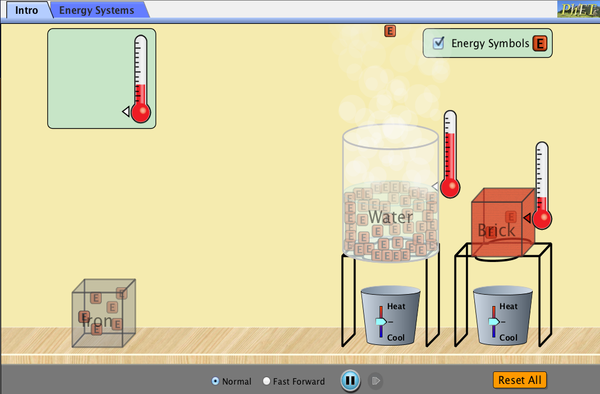 Explore how heating and cooling iron, brick, and water adds or removes energy. See how energy is transferred between objects. Build your own system, with energy sources, changers, and users. Track and visualize how energy flows and changes through your system.